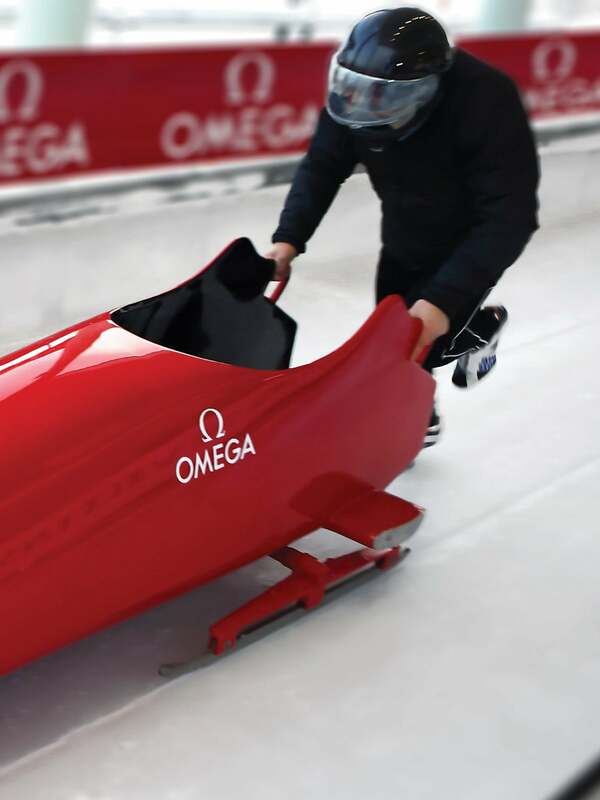 OMEGA has been timing Olympic bobsleigh events since the 1930s and in 2002, we partnered with the Fédération Internationale de Bobsleigh et de Toboganning (FIBT). More recently, we have been an active participant in the establishment of the exciting new sport of Monobob. 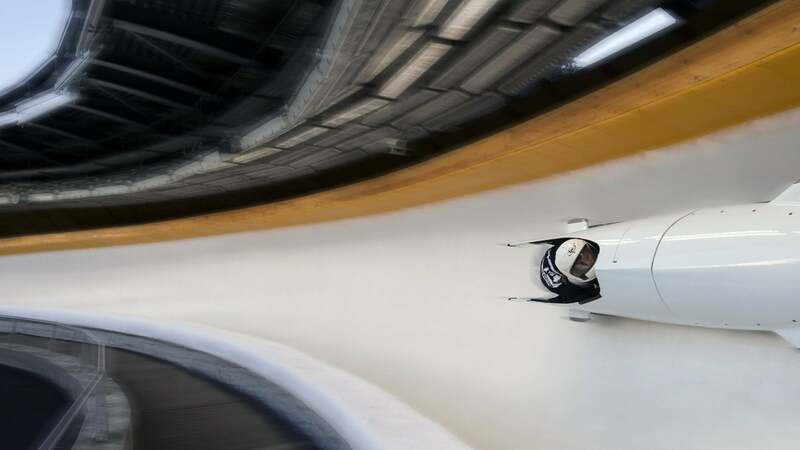 Among the most spectacular winter sports, bobsleigh is distinguished by adrenaline-charged racing and exhilarating team spirit. 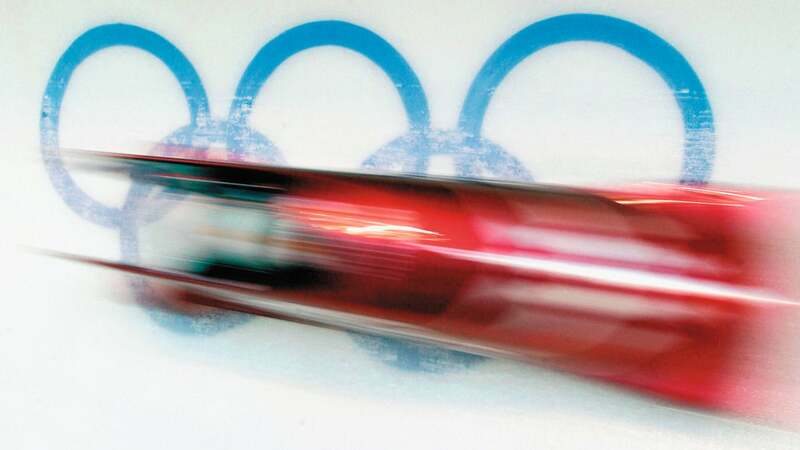 With an origin in OMEGA’s home country it’s no wonder we are so connected, timing the sport at the Olympic Games and at all FIBT events. 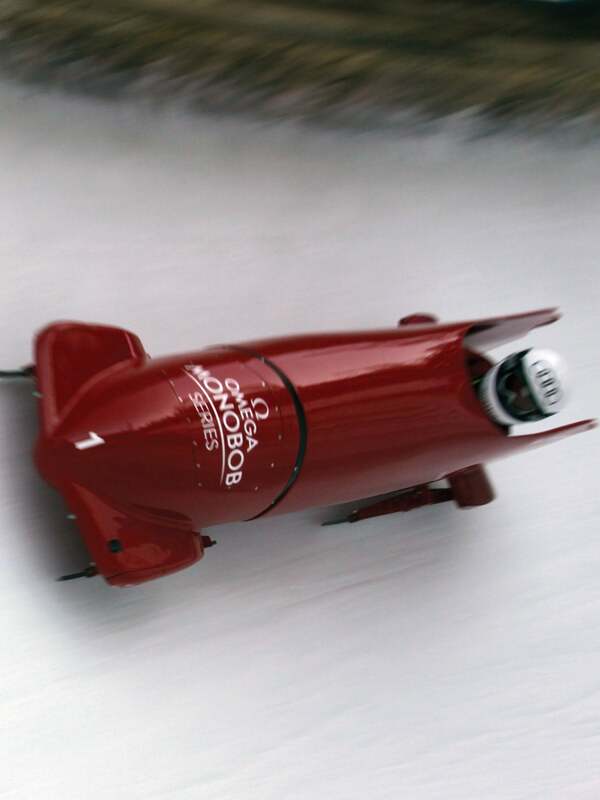 Speed is crucial in bobsleigh racing throughout the run. A tenth of a second advantage at the start of the race can translate into a three-tenths of a second by the finish line. OMEGA times the fraction of a second that separates the winners from the rest of the field. With its three sensors, the OMEGA Measurement Unit makes important in-run data – including speed, g-force and angular velocity – available to competitors and their teams as well as to TV viewers throughout the run. Our timekeepers position pairs of red and infrared photocells along the runs. 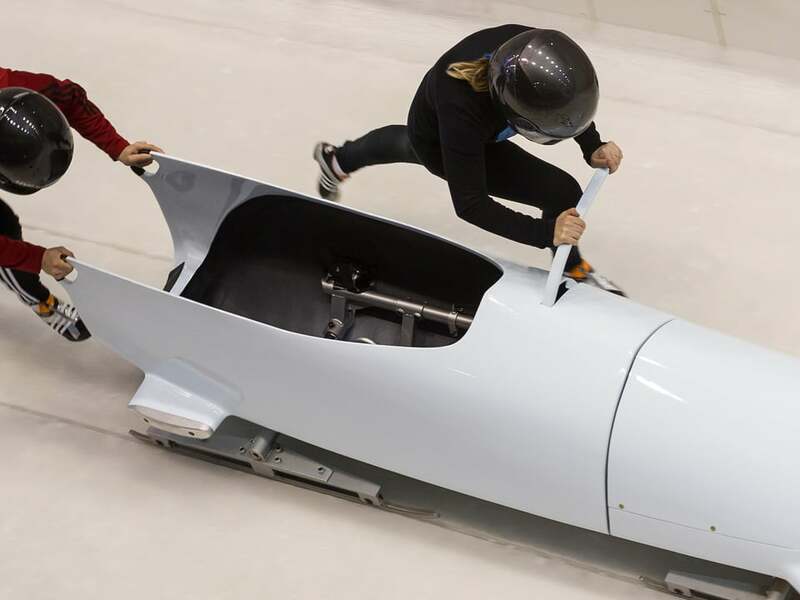 They are used to measure start, intermediate and finish times and maximum speeds achieved by the competitors speeding toward the finish line. 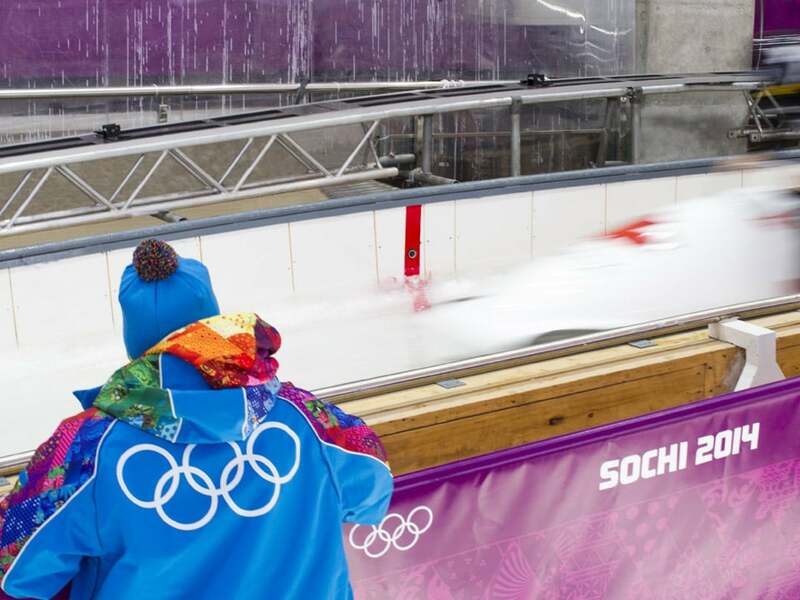 In 2011, OMEGA took an active role in the development of Monobob, a dynamic winter sport ideal for newcomers to competitive winter sports. 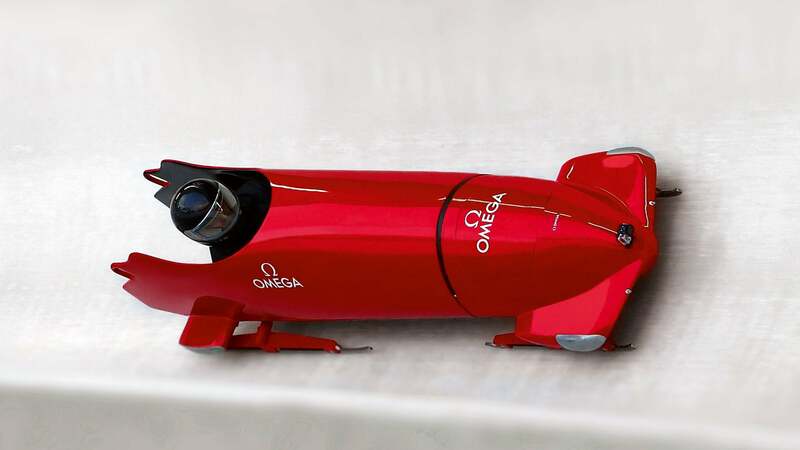 We have worked closely with Swiss Sliding and have assumed the title sponsorship of the OMEGA Monobob series. With a small, sleek sleigh and a single rider, Monobob is a unique winter sport. During the run, the rider will experience gravitational force of three to four Gs. 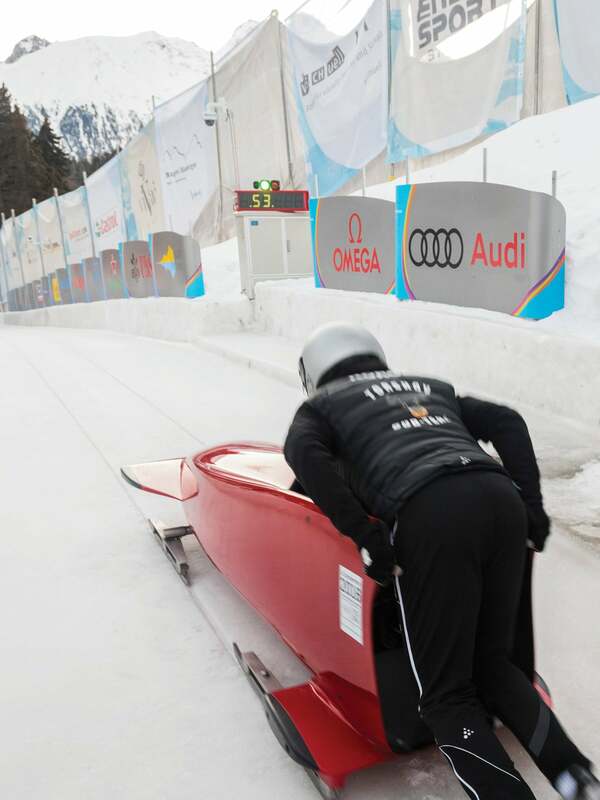 The Monobob sleighs are around 2.30 metres in length and weigh around 130 kg.